Another ARC preventing me from those lovely books I have stacked on the office floor ready to read, but definitely well worth it. My thanks to LT early reviewers and to the publisher for my copy. On June 10, 1967, a thirty-five foot boat named "The Rambler" left the island of Anguilla for St. Kitts carrying 16 passengers (including three American mercenaries), a minimum of provisions, and 500 pounds of guns and ammunition. The group was going to be part of an effort to establish a coup to get rid of Robert L. Bradshaw, the premier of the new "state" of St. Kitts/Nevis/Anguilla. Only his ouster, did the Anguillans involved in the operation believe, would call international attention to Bradshaw's neglect of Anguilla and its people. The mission failed and failed badly, but oddly enough, the results of that day actually led the way toward Anguilla's independence. 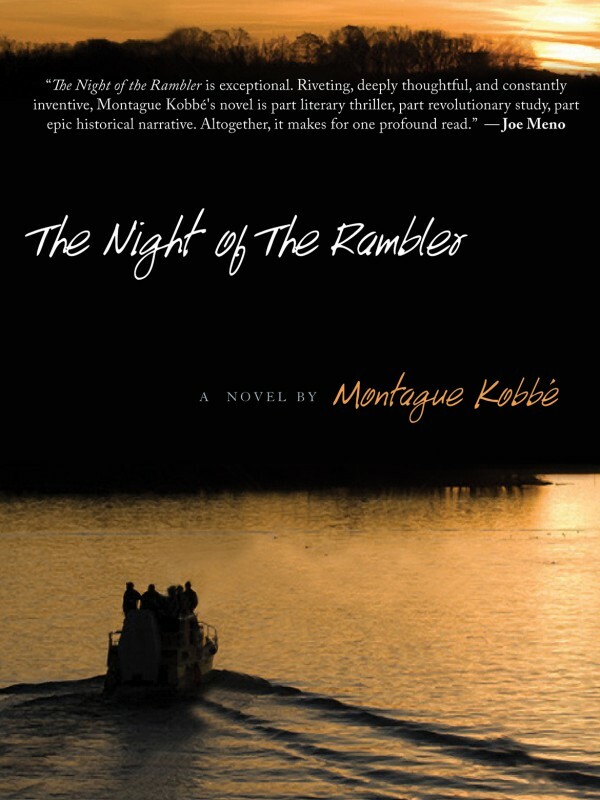 In Night of the Rambler, a work of historical fiction, the author reimagines the events leading up to that night and what drove a mere handful of people to make such a gutsy move. While there are a couple of issues that nagged at me while reading, overall, the author tells a really good fictional story behind some real events that I never knew took place. One of the things that strikes me as some of the best work here is the author's focus on his two main characters Alwyn Cooke and Rude Thompson. While it may not be easy at first to fathom why the author seems to jump around in time and place, he's actually setting up the backstories of these characters, which reveal much about their present lives. Thompson was working in Aruba during the time of the protests against Venezuelan dictator Marcos Pérez Jiménez and learned a great deal from a young anti-Perez-Jimenez engineer fresh from university, and also came to understand a kind of patriotism where you "step back, see things from a distance, and ask what can be done ..." He comes to realize that sometimes violence might be necessary when peaceful solutions don't work. Alwyn Cooke, who lucked out and received part of a prosperous estate as an inheritance, loves Anguilla and its people, but unlike Thompson, hopes for a nonviolent solution for the sake of the island's future. When they finally come together, Cooke and Thompson are what the author calls "two of the most important ingredients necessary for change blended into one," and as the story progresses, he clearly reveals how these two people with very different responses to their collective predicament finally realize there's much more at stake than individual personalities. Another important character, Solomon Carter, has an interesting backstory as well: he was a sugar-cane worker in the Dominican Republic who saw firsthand the attacks on Haitian and other black immigrants during Trujillo's "Parsley Massacre," and saw the blood of thousands of victims run like a river. Since then, he's sworn that he would do everything in his power to see that nothing like that could ever happen in Anguilla, taking a stance against the use of extreme violence. Another positive: the author sets the action of his story within the context of the British-speaking Caribbean of the late 1950s through the mid-1960s, when the area was a "hotbed of insurrections and revolts," and carefully sets out why the Anguillans would reach the point of aiding a coup on St. Kitts. By 1966, when the individual countries wanted internal self-governance, they first became "associated states" of the UK, and plans for the full "statehood" for St. Kitts/Nevis/Anguilla were in the works -- but the Anguillans wanted no part of it. They were neglected by their nominal leader, Bradshaw of St. Kitts, who didn't even bother to help after Hurricane Donna of 1960 decimated houses, buildings, & livestock. There was no hospital on Anguilla, no running water, no telephone service and not even a harbor. It was like these people were stuck there to fend for themselves -- you can sense the Anguillans' frustration throughout the book. What I didn't care for so much was the narrator's interjection into a story where he played no role except as omniscient observer -- sometimes the smart-alecky remarks were annoying, or once he even notes that it's "well past" his bedtime. It totally interrupts the flow and pulls the reader right out of the historical setting. However, the story is so good, and in the long run well told, so I can sort of overlook this annoyance. I would most certainly recommend Night of the Rambler, especially to people who are interested in the Caribbean islands and their histories. Thanks for your kind review of The Night of the Rambler. I'm particularly pleased that you enjoyed the digressions into the characters' backstories, especially considering you didn't like them so much at the start. Nothing like changing a reader's mind halfway through! As for the narrator, well, that is a bone of contention! Again, I'm quite pleased it took you out of the historical setting because that is precisely its function. Obviously, I'm not so pleased that you didn't like to be yanked out of the story, despite the sense of perspective this might provide. Either way, thanks for sharing your thoughts about my novel. I hope you've been sufficiently intrigued to hang around for the next one! Hi and thanks for commenting! I am always tickled when an author takes a moment to say something about my take on his or her novel. I have to say that I've been recommending this book to everyone I know (despite my annoyance with the perspective issue), because a) it is so well written and b) I love historical fiction, especially when there's some event I've never heard of before that is being written about. I think that my problem with being yanked out of the historical period is that I was so into it! Not a slam at all on you -- that's personal. I'm definitely looking forward to the next one so you'll probably be reading about it here as well. If you can create characters so real and human as the ones in Night of the Rambler in your next work, I'm sure I'll like it as much as I did this one.